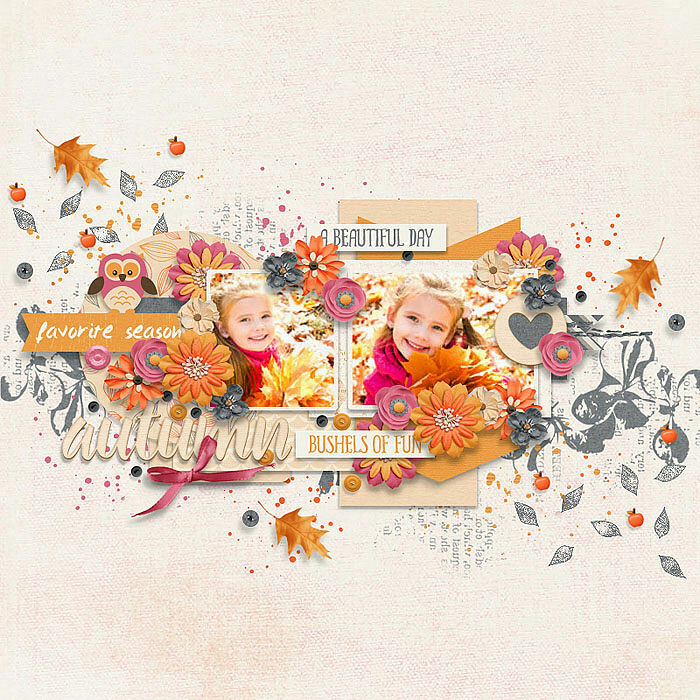 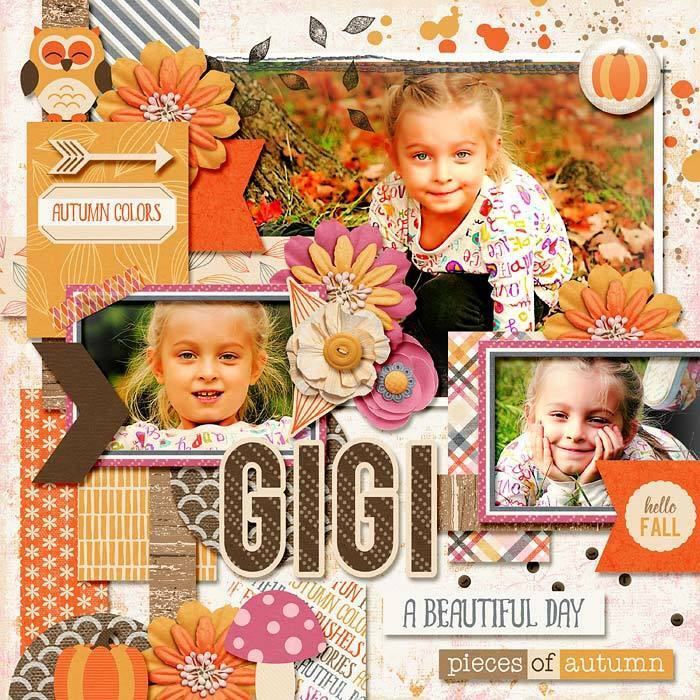 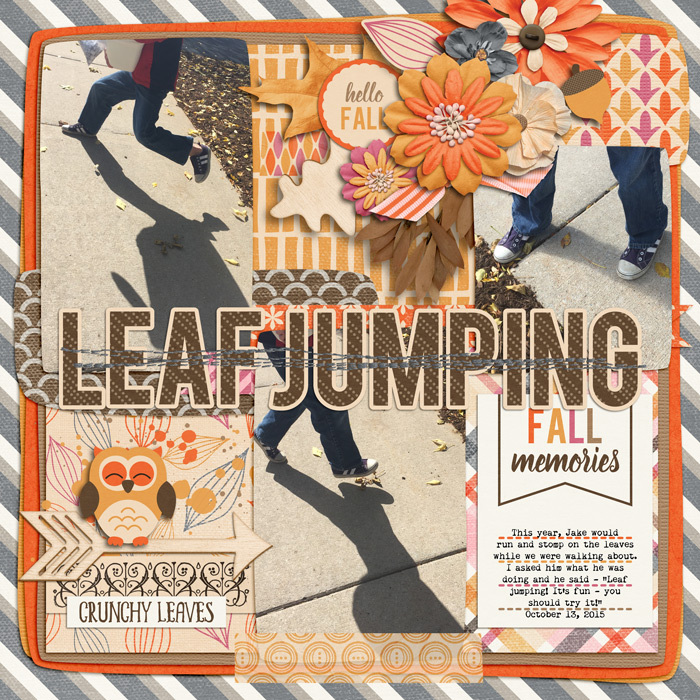 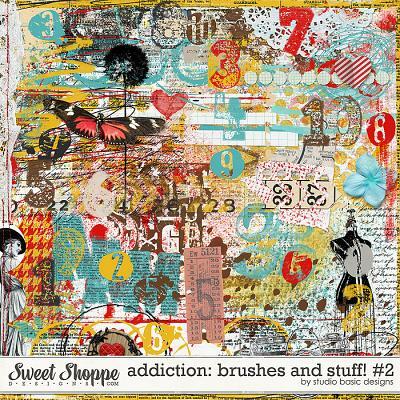 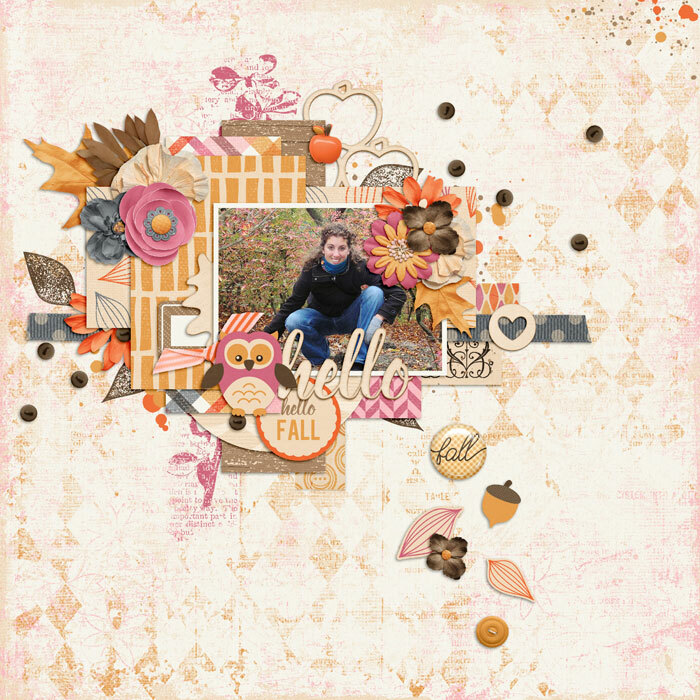 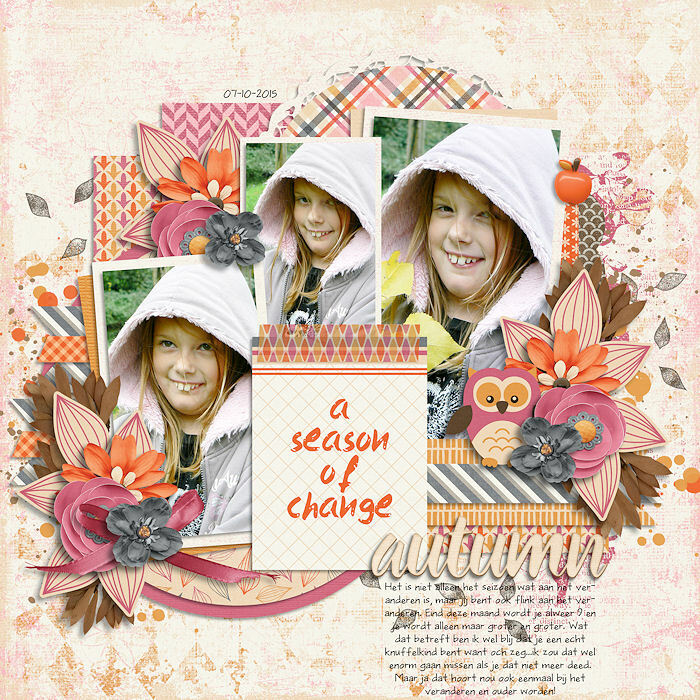 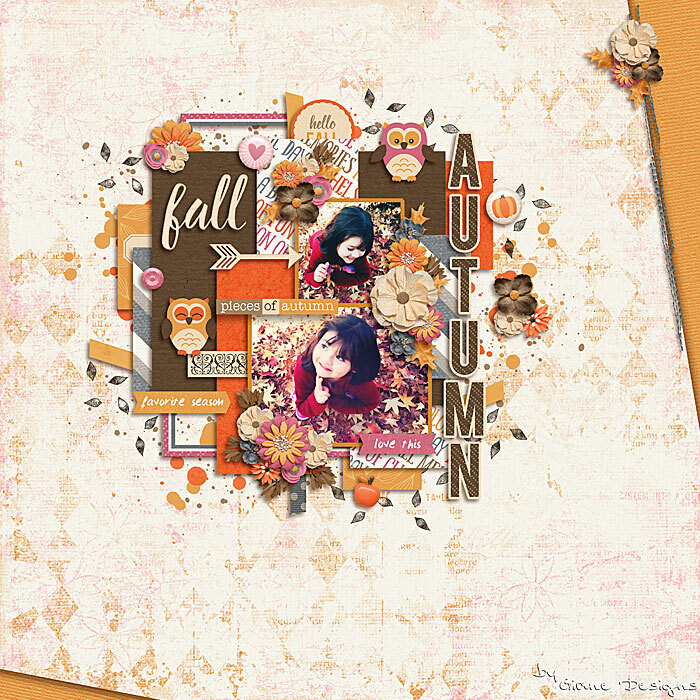 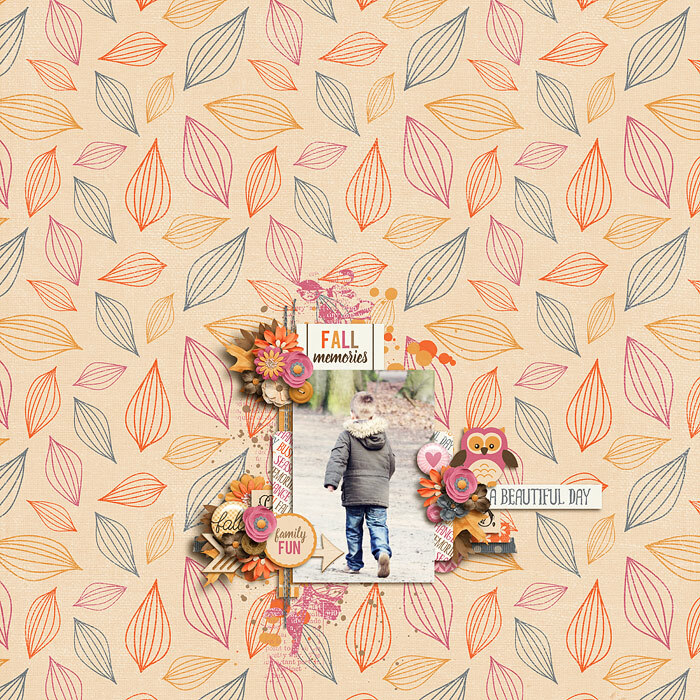 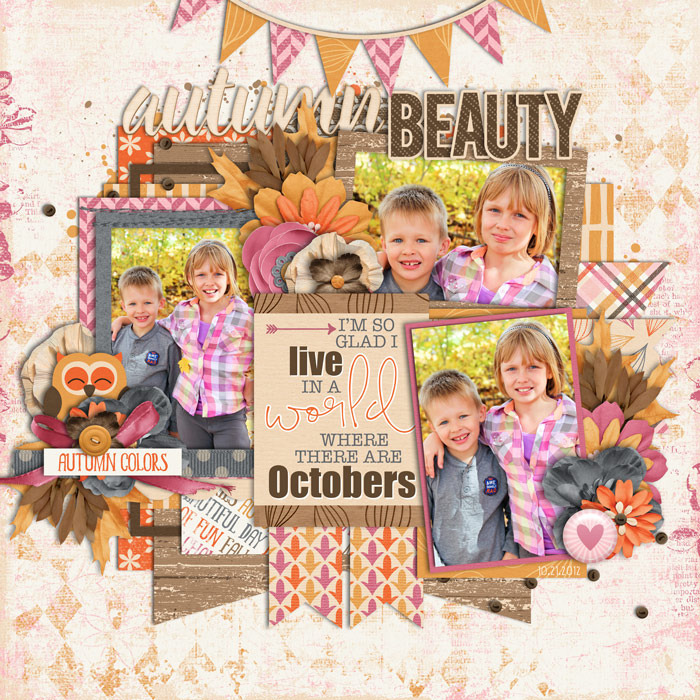 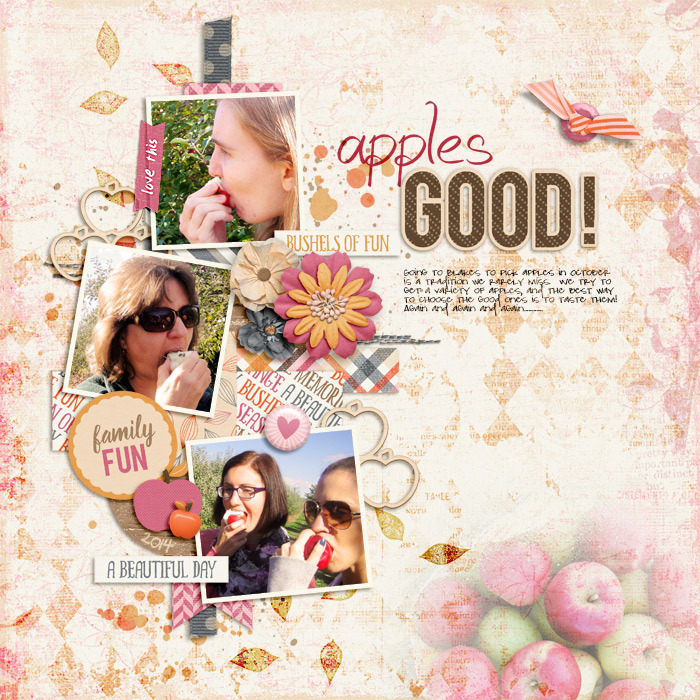 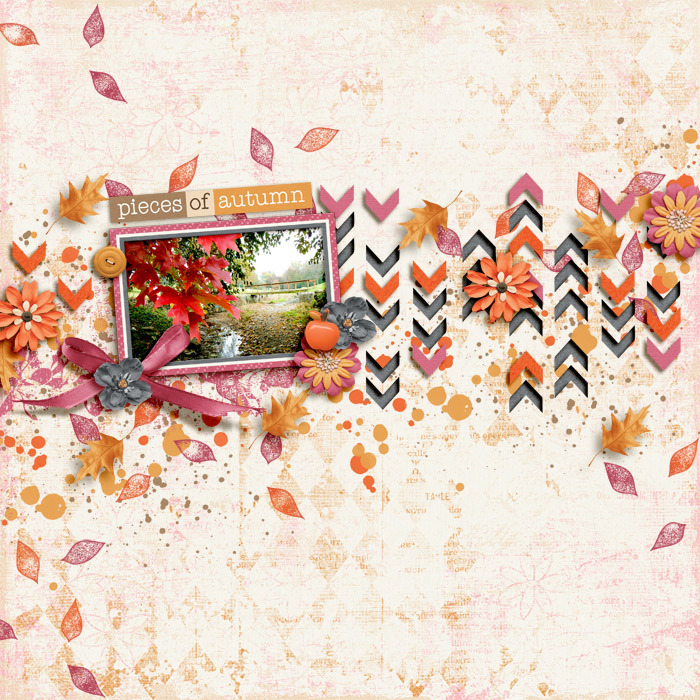 Pieces Of Autumn by Digital Scrapbook Ingredients is a beautiful kit that celebrates Fall and all its gorgeous colors! 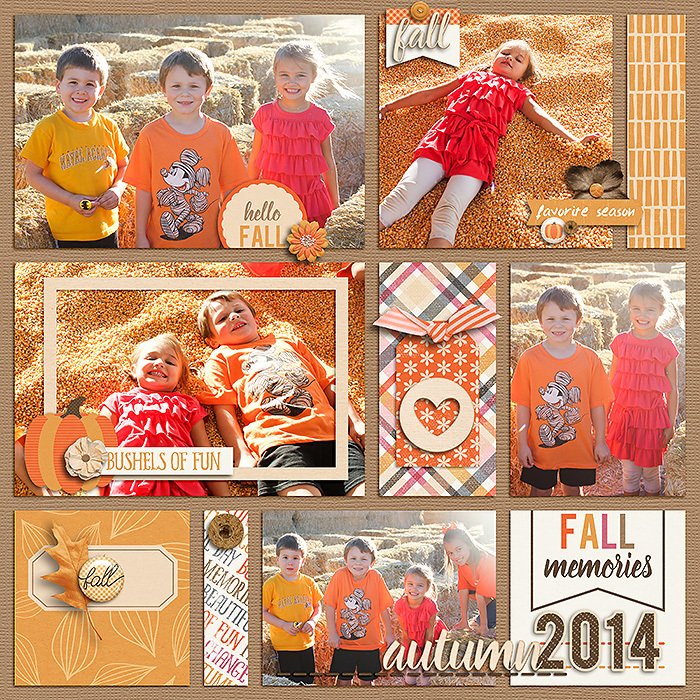 Perfect for documenting trips to the pumpkin patch, orchard, forest and more! 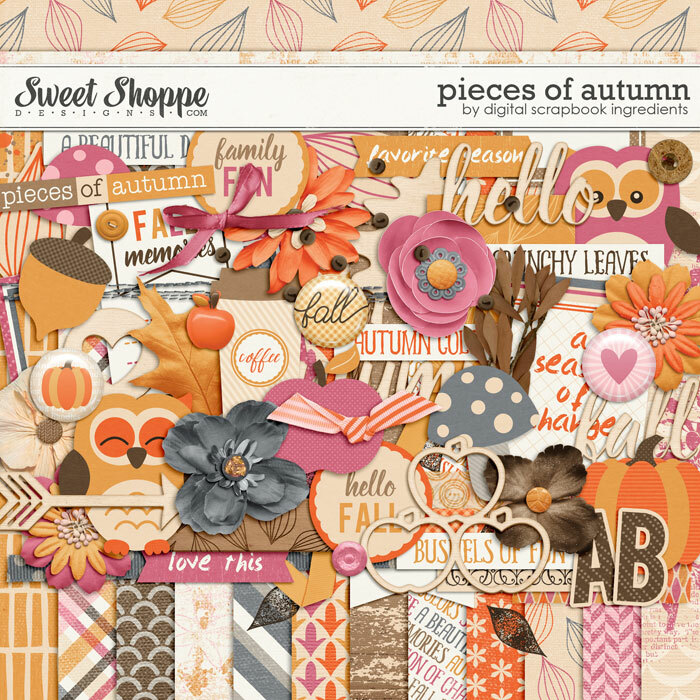 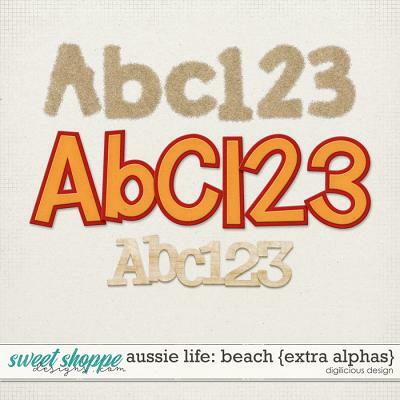 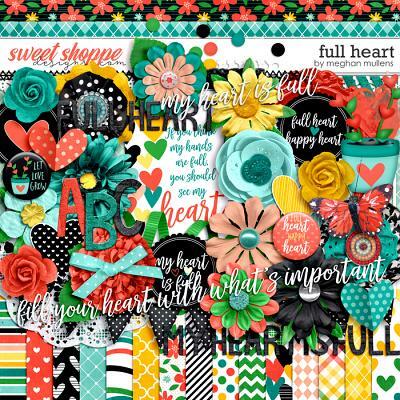 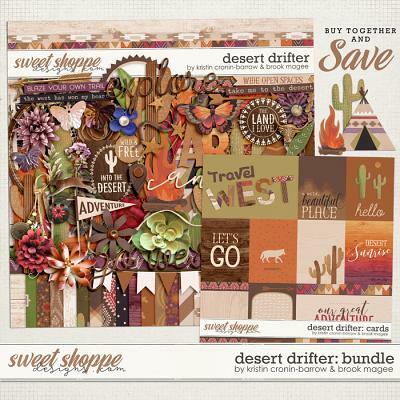 This kit contains: 20 papers, patterned and solid (12x12 inch), 1 acorn, 2 apples, 1 apple stack, 1 arrow, 1 ‘autumn’ word bit, 2 bows, 3 buttons, 1 coffee, 1 ‘fall’ word bit, 3 flairs, 7 flowers, 2 foliage, 2 frames, 1 heart, 1 ‘hello’ word bit, 3 journal cards, 2 labels, 3 leaves, 1 leaves stamp (both abr and png files), 2 mushrooms, 1 overlay, 2 owls, 1 paint, 1 paper piece, 1 pumpkin, 2 ribbons, 1 scatter, 1 stitching, 2 washi, 9 word art (hello fall, family fun, autumn colors, bushels of fun, a beautiful day, crunchy leaves, love this, favorite season, pieces of autumn), 1 alpha (uppercase, numbers and some symbols). 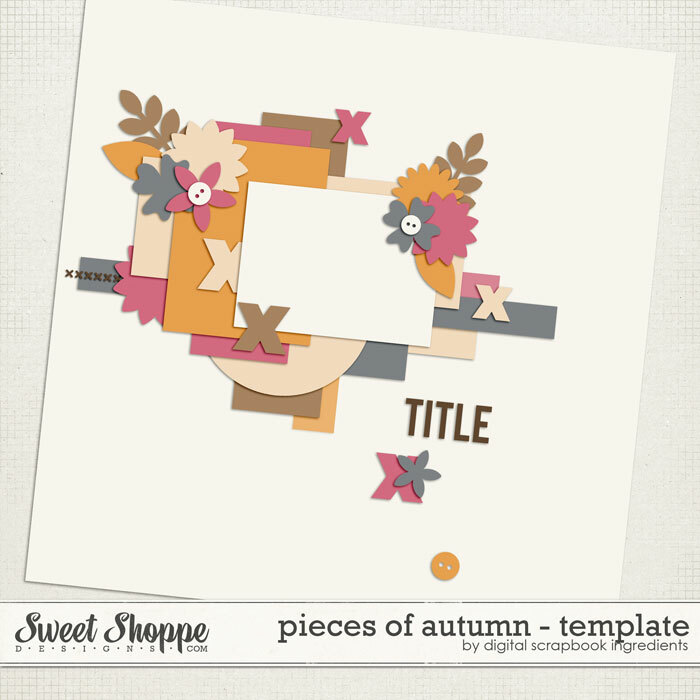 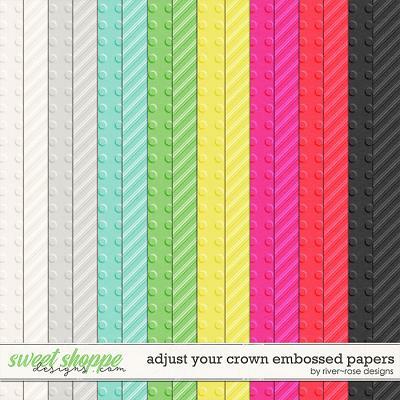 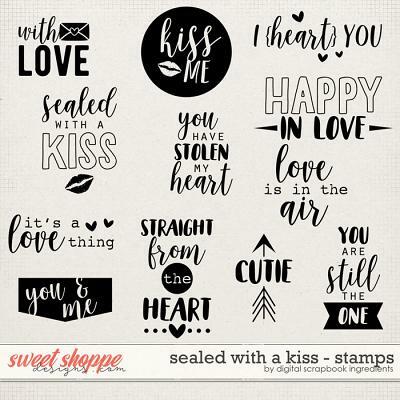 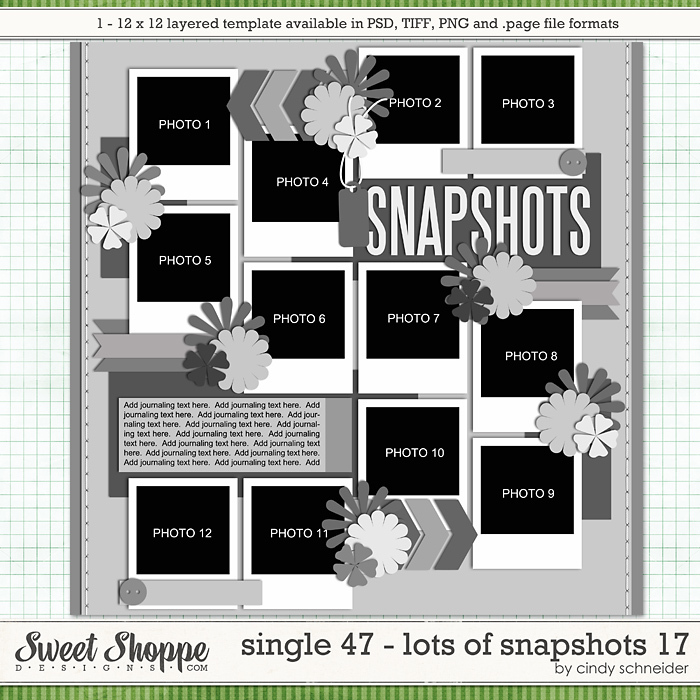 There is also a freebie template included in the download!